Diamond Platnumz is a man caught between a rock and a hard place after allegedly being involved in a ‘relationship’ with Willy Paul’s video vixen Lynn. Lynn whose real name is Irene Louis was featured on Willy Paul’s music video Malingo as a video vixen. She called out Diamond for trying to make it seem like she is a stalker who is lying about their affair. Roho yangu mie. Nakupenda mpaka nakupenda sana.. Najua wanasubiri lini…ila watasubiri sana! Sikucheat hata iweje. Well Diamond’s ex Zari Hassan is having the last laugh going by her recent status. According to her a dog will always be a dog no matter what you do. idk who needs to hear this but unless he wears a diaper, you can’t change him. Sometimes the best thing you can do is keep your mouth shut and your eyes open. The truth comes out in the end. These two have been making headlines with their love affair. Now if you don’t know, let me enlighten you. Diamond and Tanasha have been in love the last few months and are looking forward to getting married this year. The two love birds were to get married on valentines day but due to multiple commitments of their wedding guests they postponed it to later this year. They even requested that the day be made a public holiday, can you believe that. “Roho yangu mie,…nakupenda mpaka nakupenda tena…..
georgeodina;Those statements sound like those of a cheat, i once said that too to my lady and i ended up banging her friend. From us we wish them all the happiness as they continue loving each other. Zari Hasan seems to have found a new man almost an year after she broke up with Diamond Platnumz the father of her two kids. The businesswoman, who is among the most successful women in East African region dumped Diamond (the father of her two children) on Valentine’s Day in 2018, citing infidelity as the main reason for their break up. Tanasha Donna has been creating a buzz due to her relationship with Tanzanian artiste Diamond Platnumz. In most of her posts she refers to her mum, Diana Oketch, who is said to be living in Belgium. In 2018, Diamond’s mum Sandra Dangote told Tanzanian press that she didn’t have a problem accepting Tanasha as her daughter in law, that is if she’s the woman her son Diamond had settled on. Sandra added that she has no objections over her son’s hurried wedding plans and instead went on to express her excitement at her son’s new catch. Tanasha’s soon to be sister in love also gushed about the relationship. “I TOTALLY ACCEPT HER AS MY IN-LAW, BECAUSE NASIBU LOVES AND TREASURES HER. WHAT IS IMPORTANT FOR ME IS THAT SHE DOESN’T TURN OUT TO BE LIKE THOSE OTHERS. I WOULD LIKE TO HAVE A LEGIT IN-LAW THIS TIME ROUND),” ESMA SAID. We have not seen a picture of Tanasha’s mum until now. Looking at the photos it is easy to understand why they say ‘The apple does not fall far from the tree.’ given that Tansha looks every bit like her mother. The much publicized relationship between Tanasha Donna and Tanzanian artiste Diamond Platnumz seems to be getting murkier day by day. Don’t get me wrong, but going by the look of things Tanasha has big shoes to fill so that she can be twice the woman Zari was for Damond. In a different post, Tanasha seems to hit back adding that there is no room for jealousy for a confident woman such as her. Recently, Diamond opened up on what attracts him to Tanasha and one of the major reasons is that she is not after his money. I love Tanasha and she loves me equally. She is mature and does not have the habit of fighting with my Exs online. She is loving, she is disciplined and she is not after something. The big question on everyone’s mind is Tanasha Donna chose Diamond, considering his track record with various women who later stated he is not loyal. Tanasha finally broke the news as to how the two met and why she fell in love with him despite his reputation out there. Diamond is a father to 3 children that we know of and he is known to be a man of many women but after Tanasha, he seems to have found the one to settle down with. He is proving to be the man she describes him as because just recently, he bought her a house in Dar Esalaam where Tanasha also met his mother. All that is left now is for Diamond to tell us what he saw in her that led him to leave his marriage, and immediately declare his intention to marry another woman one not long after. Tanasha has received backlash from Tanzanian’s, but that is not stopping her from being part of Diamonds future. Since the turn of the new year, two couples have been trending on social media. Anerlisa Muigai and her Tanzanian bae Ben Pol plus Diamond and his Kenyan bae Tanasha. Kenya and Tanzanian are coming together as one. It seems like Diamond Platnumz is ready to settle down with his Kenyan bae, Tanasha Donna after he bought her a house, in Dar Esalaam, Tanzania. She finally revealed how she met Diamond, which was 2 years ago. Back then Diamond was still married to Mama Tiffah and Nilan, Zari Hassan. Diamond was clearly not satisfied in his marriage. Now he has made it clear he has found the one, Tanasha Donna, and their wedding is any time soon. Of course with this, she has captured the attention of many Kenyans and Tanzania so she is now famous. During her ‘ask me a question’ segment on social media, one of her fans asked her about the toughest time in her life. This could actually have worked in Tanasha’s favor because the way things are going, she might be moving to Tanzania where Diamond has built her their home in Dar Esalaam. Tanasha Donna has revealed where she met Diamond Platnumz, a subject many have been wanting to discuss regardless of the fact it does not concern them. 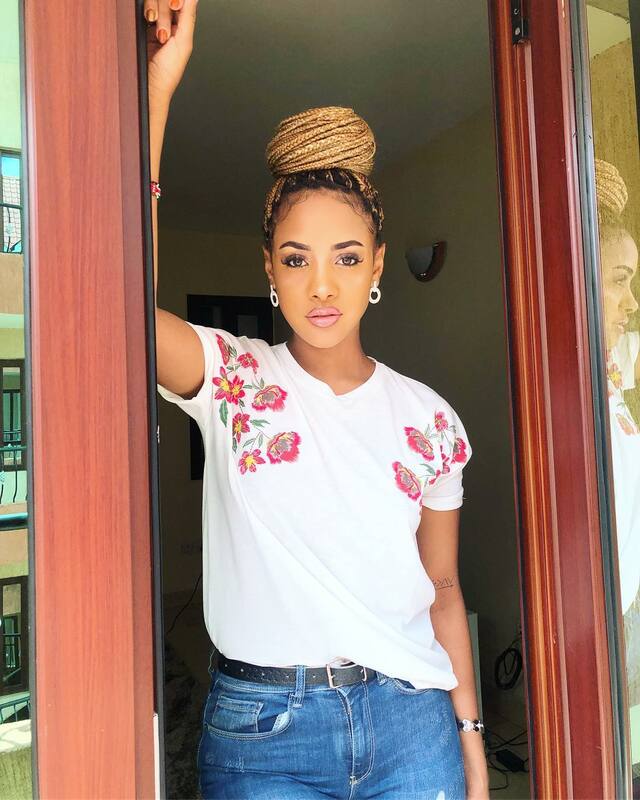 A lot has been said but in a hearty chat with her fans,Tanasha has barred it all. Fans are skeptical if indeed the two are dating or nah! That did not answer the question. In the past, Zari has called out Diamond for not taking time off his busy schedule to hang out with his kids. 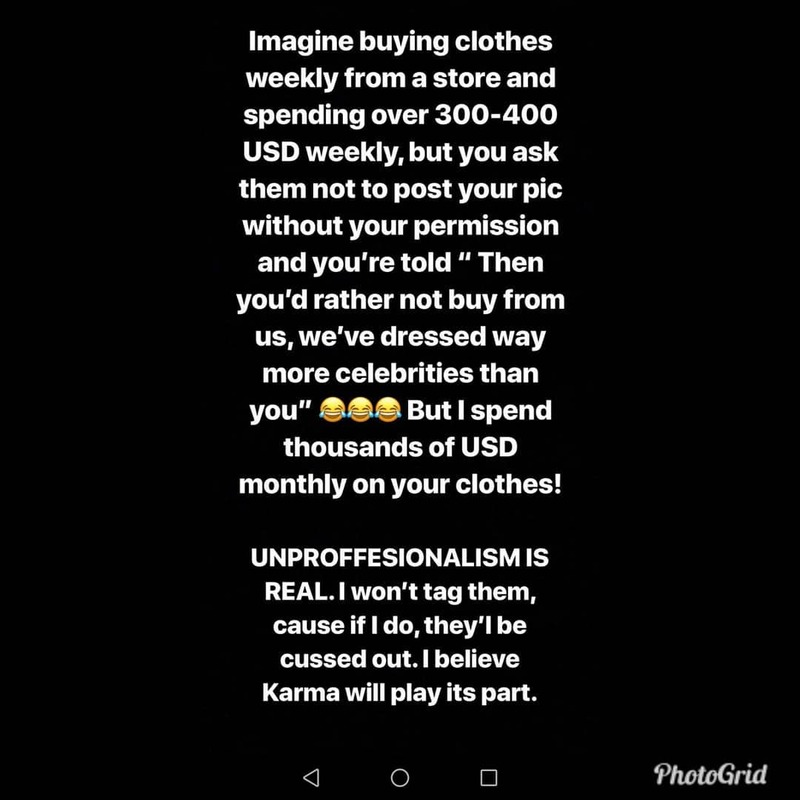 Zari responded to this in a subliminal Instagram post that is obviously directed at Tanasha. She also added that she is not planning to change her religion once she gets hitched to Diamond. Finally, a fan warned Tanasha that she will be played the same way Diamond played Zari and Hamisa. 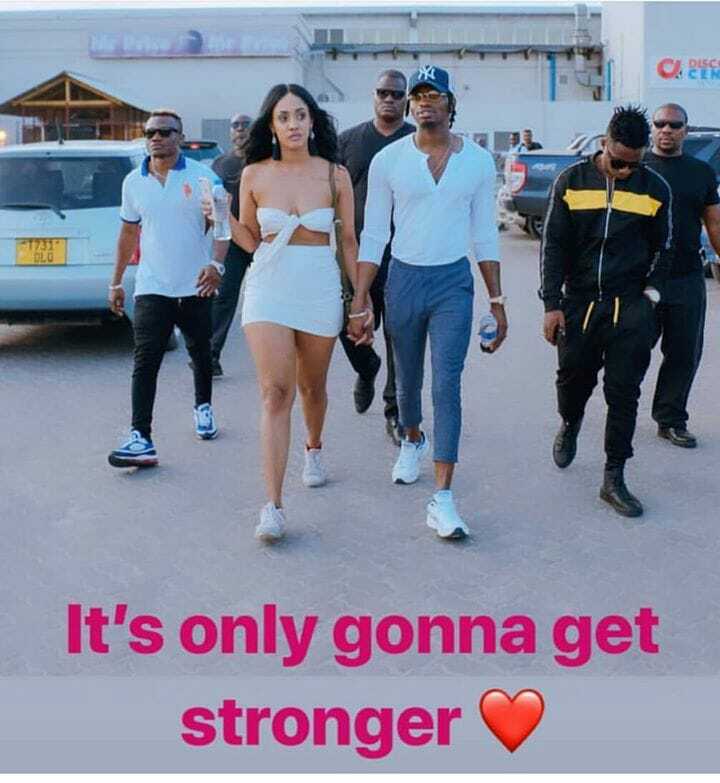 Things seem to be looking up for Diamond Platnumz and his bae Tanasha Donna despite the negative criticism following them everywhere. Many were left talking after Diamond known as ‘Simba’ by his fans, pushed their wedding forward leaving many disappointed. 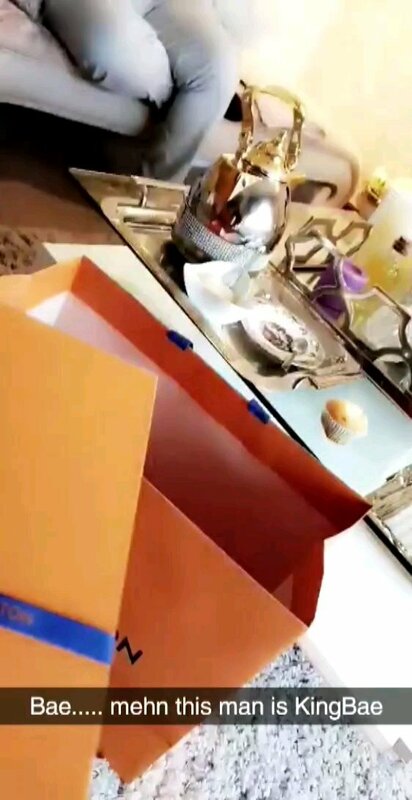 He recently took Tanasha to visit his mother, Mama Dangote, and going by the video it is obvious that the two have already created a rapport. The affair between the two seems serious. Last year, Diamond confessed his love to Tanasha adding that she is the only woman who has made him feel the way he does. “I have planned my wedding to be on Valentines day which will be on a Thursday. So I will do it from Thursday ,Friday, Saturday and Sunday. Here are photos for the house that Diamond is reported to have bought for his soon-to-be Kenyan wife. 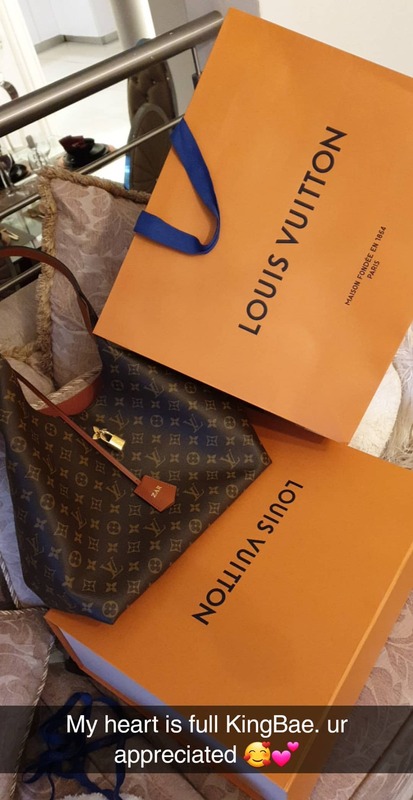 Diamond Platnumz bae Tanasha Donna is one woman who enjoys her shopping and she does so religiously according to one of her recent social media rants. The celeb apparently spends between 30 and 40 thousand shillings on her garb per month! Her reason for posting was because she was complaining about a particular shop that she buys her clothing at. That is a pretty penny considering that in a 2016 survey by the KNBS, only 74,000 of employees in Kenya earned more than Sh100,000 per month. The report released last year showed that 26 percent of employees in both the public and private sectors took home a monthly salary of less than 25,000 a month. Over half of wage employed Kenyans earned a monthly salary of between Sh30,000 and Sh99, 999 a month. 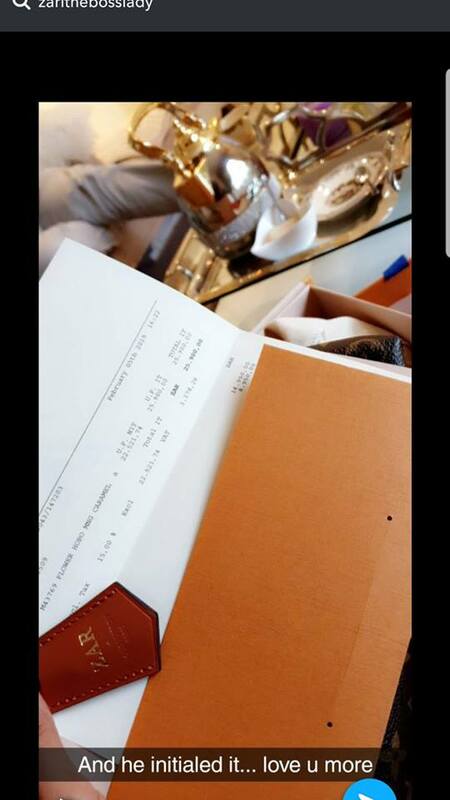 So Tanasha is spending more on her shopping per month, than what most Kenyans earn per month! Good for her! That means she spends 160k on clothing a month! Diamond Platnumz has cancelled his planned wedding to Kenyan damsel Tanasha Donna, weeks after he claimed that he was ready to wed her on valentines day. It will be remembered that last year’s Valentine’s day was the day Diamond was dumped by Zarinah, his baby mama. Well, this date is not a revenge anymore as many fans were saying because the WCB artiste has postponed it. “I will get married in 2019. My wedding was supposed to be on the 14th, Valentine’s day but we’ve pushed it forward. Many people are slated to attend, the likes of Rick Ross, artistes that i’ve done collabos with, family and friends. Earlier on he had stated that if anything came up he would inform his fans and he sure did. Some things are hard to ignore especially from our favorite celebs who keep us entertained with their dramatic lives. We predict some of the things that might happen in 2019. The predictions are based on the fact that some of these celebs are so clueless when it comes to matters privacy hence we added one plus one to come to these conclusions. The only way to determine how fertile a man is by getting a woman pregnant and 2019 might the year where Diamond Platnumz tests this on Tanasha. Well getting pregnant is not such a bad thing we are just worried that if she gets paged it might limit her chances of fully exploring her new bae. The signs have been there all along, it’s just that he does not have the guts to go secular, maybe for the fear of what people might say. His latest songs lack a gospel touch and his increased collaboration with secular artistes makes us think come 2019, Willy atakua anakamatia chini. Ethic is famous for hits such as ‘Lamba Lolo’ which is the newest anthem in town , sadly we predict that come 2019 they might break up. They might end up like Camp Mulla, MOG, Kelele Takatifu, Deux Vultures, Gidigidi Majimaji, Tatuu, Cash Money Brothers (CMB), Kymoh and Stiga famous for their song ‘Thitima’. Two in One hit maker Naiboi and Kaligraph Jones alias the OG will command attention and rule the air waves in 2019. Love or hate them, they know how to entertain the crowd and their music is DOPE. Guardian Angel on the other hand will dominate the gospel, his songs are uplifting. As you might know by now Wasafi artistes have made Kenya their home , with the likes of Diamond Platnumz, Rayvanny, Harmonize, and Mboso spotted around town. Things have been especially tough for Diamond and Rayvanny after they were banned from performing in Kenya and Tanzania until further notice. “If you ban my songs I will still perform them.If you still don’t want me to perform I will leave and perform else where. I will move to another country because they wont follow me there. Isn’t that a hint that he might relocate. Call him the love doctor, he always has the right answers to console and make his friend Jacque Maribe smile. Despite the fact that the two have denied having any romantic relations, it is evident even for the blind to see that given a chance Itumbi would love to date Jacque. But as they say, atakula huu na hasara juu coz believe you me come 2019, he will be spending valentines alone. But we can’t be too sure his poems might soften her heart. Tanasha Donna is currently in Tanzania to accompany Diamond Platnumz to his Wasafi Festival show in Mwanza. When she landed, the video vixen shared a photo of herself in a bikini and threw shade at her haters. Some of Tanzania’s celebrities and close friends to Diamond Platnumz have been seen in interviews saying Tanasha is not fit for the singer. AND Y’ALL CAN KISS MY SMALL A** THANK YOU. HE STILL LOVES ME THO. YOU HATERS HE’S STILL GONNA WIFE ME. In another post, she is seen holding hands with Diamond with the caption. Diamond Platnumz mum, Mama Dangote has given him the go ahead to marry his Kenyan heart throb Tanasha Donna in a touching message. The Bongo star recently announced that he has plans to walk down the aisle in a wedding that will be held for four days from February 14th to 17th 2019. Well, Diamond’s queen, Tanasha Donna has received approval from Diamond’s family despite criticisms from Tanzanians. As Tanzanian’s went ahead to compare her to Zari and Hamisa. In the past, Diamond’s mother Sandra Sanura was openly opposed to her son marrying his baby mama Hamisa Mobetto. However, Sanura fully supports her son’s decision to marry Tanasha. Speaking to a Tanzanian based website, Sanura, who is popularly known as Mama Dangote in social media circles, revealed that it was time for her son to get married and she wouldn’t oppose if it Tanasha turns out to be her daughter-in-law. Diamond Platnumz is a pro not only when it comes to producing music but also when it comes to selecting women,his taste for women is unmatched. He recently got hitched to a Kenyan lass Tanasha Donna and going by his confession it is obvious the two are in love.Well Tanasha is not the first nor the second woman has dated. No offense but this dude is a pro but also a dodge as well ,While dating Wema Sepetu he cheated on her by sleeping with her BFF’s Jokate Mwegelo and Penniel Mungilwa. Below is a list of women he has dated. She is Kenyan and a radio presenter at NRG Radio. She is known to many as the boss lady ,she is mother to two of Diamond PLatnumz’s kids Nillan and Tiffah.